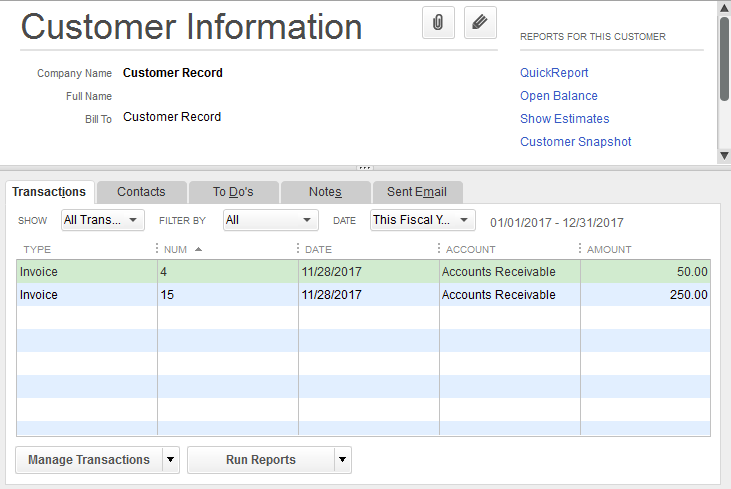 Invoices created under customers are listed under customers. A job is a specific project or scope of work that you want to track. 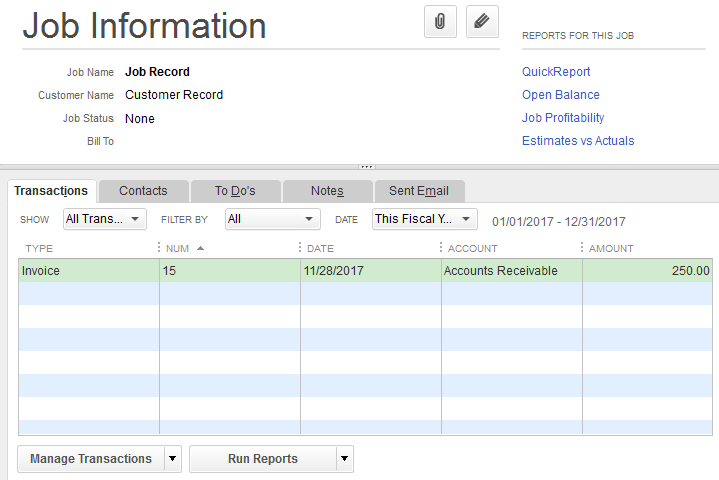 Invoices created under jobs are listed under the job as well as the Customer. Jobs are listed as sub-customers of customers. An invoice created under the job is visible under both the customer and the job. In this example, invoice #15 was created under the Job record.